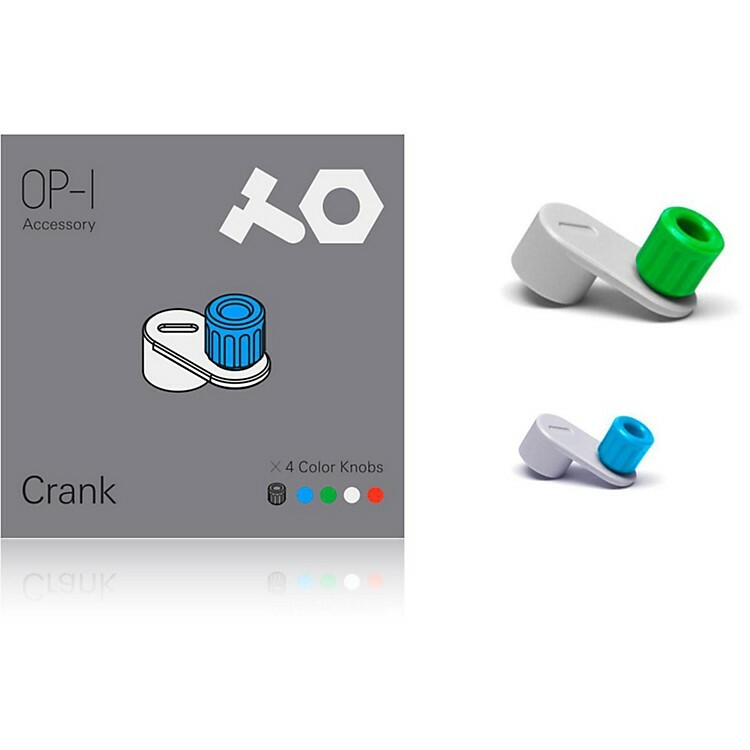 Mount the crank accessory on OP-1˜s blue knob and press shift + rec, and your OP-1 is now in œhand-crank-recording mode. Use the crank to create some real vintage old school recordings. It' also possible to crank counter clockwise, to record backwards, all in real time. The crank also lets you use the endless sequencer as a hand cranked music box! Just enter the notes and crank the crank! The crank LFO lets you crank any parameter. Includes 4 color knobs in OP-1 colors.